shanethielen @Protostar Thanks; glad you like it. shanethielen @thunderstudentmk2 I don't specifically know the answer; this device only engages the two slots right behind Volcanicus' head and then hangs down his back. Pictures of the Perfect Effect kit look like there is a component on Volcanicus' back which would probably interfere. The Dream Wave kit doesn't look like it has any back components. shanethielen @tigerhawk533 Okay; I added black plastic. shanethielen @Moonus88 I don't have Onslaught so I can't say for sure. I looked at a review on YouTube and it looks to me like the arm that connects the grey middle portion to the body might get in the way. Thanks for asking though. 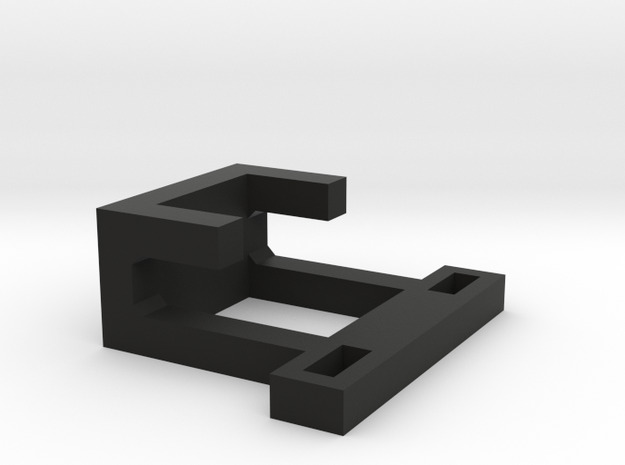 shanethielen @TXR4521 the one in the picture is held in by friction, but I printed it on my own printer (M3D Micro). 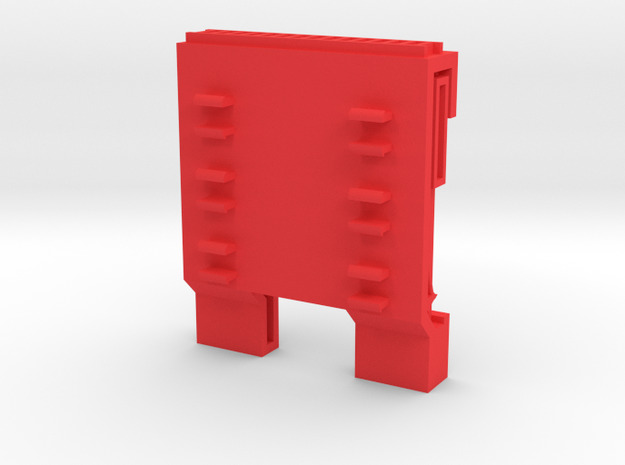 There three protrusions on the bottom that slot into the gaps in the body of Hot Spot, but I don't know if the tolerances are right for Shapeways.